Schönes Seehäuschen im Herzen von Nicolet Forest. Diese Eigenschaft ist auf 200 Fuß von sandigen Fassade auf einem 1,5 Hektar großen privaten Grundstück. Klarer Wassersee, ideal zum Schwimmen und Wassersport. Einer der begehrtesten Seen im Nicolet Waldgebiet. 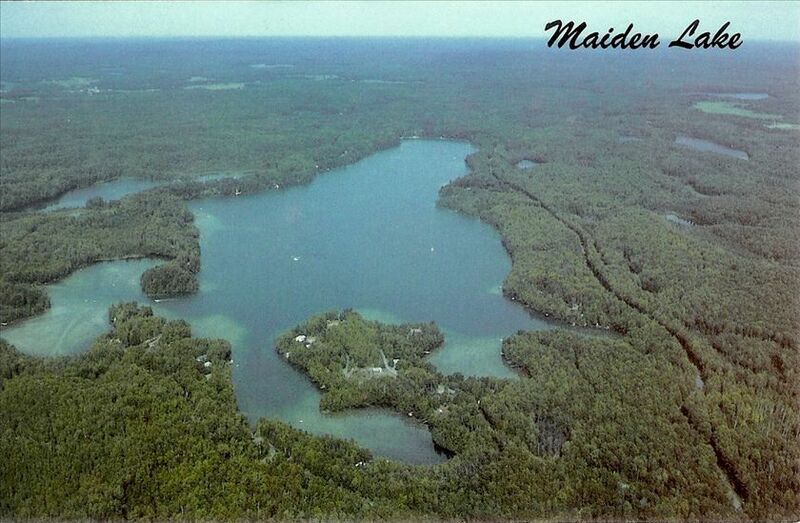 Maiden Lake wurde kürzlich als einer der 3 saubersten Seen in ganz Wisconsin benannt. Motorisierte Boote sind erlaubt, und es gibt keine Geschwindigkeitsbegrenzung von 10.00 bis 16.00 Uhr. Privates Dock ermöglicht das Binden von Booten und sogar von Pontonflugzeugen, wenn Sie hineinfliegen möchten. Es gibt keinen Strand, aber sobald Sie im Wasser vor der Küste sind, können Sie für ca. 30 Fuß auf dem glatten, sandigen Boden gehen und immer noch in nur 3 Fuß Wasser sein. Es stehen 2 Kajaks zur Verfügung, die Sie ohne Aufpreis nutzen können. In Gehweite des Ferienhauses gibt es ca. 150 Meilen Wildnispfade. Diese Wege sind für alles von Wandern, Reiten ATV oder Mountainbikes konditioniert. Stayed at the cottage twice now and enjoyed it both times.The cottage is clean and cozy.The lake is the best I ever been on,clean and the fishing is excellent.Scott is a pleasure to talk to. All around joyfull experience.Thanks Scott........Jim F.
Enjoyed the week, accommodations were great. Enjoyed swimming and sitting on the dock. Kayak’s were a great addition to the week of fun. Hope to come up again in the future. Every one has a great time! some people to navigate. My family had a great time during our weeks' stay. Every one has a great time. Im happy you enjoyed it. This is our second year and it was another great time. The beach and pier are wonderful to spend the day/eve around. The kitchen has been redone and looks great. Our dog was so excited to return he started whining as we pulled into the drive - then ran straight into the water where he could be found when outside. It is so peaceful and private which is very relaxing. We met a nice neighbor that gave us fishing tips - maybe next year we'll catch the big one! There was a cancellation and I was lucky enough to contact Scott quick enough to reserve a couple of days at his cabin. My fiance and our two kids really enjoyed our stay. My family owned a cabin on Maiden Lake until 2002 and this was my first time being back since. It doesn't get any better than this, folks! Once you see this lake, no other can compare. We spent most of our days swimming, even when it was only 65 degrees yesterday. We rowed the boat into the middle of the like to see my old cabin, and got right next to a family of loons. Utilized the grill and the fire pit. Had a great time! The cottage itself is clean and cozy. Definitely recommend. My husband and I stayed here for about a week with our black lab - all three of us enjoyed ourselves. The accommodations were adequate and met our needs - only two recommendations: the DVD player needs a remote and the double bed is sagging in the middle - replacement time ;) There was plenty of room for us and we enjoyed some peaceful evenings inside. The real star of this rental is the outdoor space - dock, boat, beach, grill, fire pit - all private. The setting was perfect! We enjoyed the outdoor space most of the days (only one uncooperative weather day). We went out on the lake a few days and it is really beautiful. Scott was great to work with and met us on our first day to give us a tour and information about the cabin, lake and area. There is a grocery store and plenty of restaurants near by. We will be back! $120 per night rate is based on 1 week, Sunday to Saturday stay. Please call for weekend and short stay rates.